Our English School in Los Angeles is located in the most glamorous city in the United States. Located in sunny Southern California, Los Angeles is also one of the top travel destinations in the U.S. If you choose to study English at English Language Center (ELC) in Los Angeles, you will find a perfect combination of abundant natural beauty, endless entertainment, and world-class universities and museums. You will find ELC Los Angeles on Wilshire Boulevard in Westwood, on the exclusive westside of Los Angeles. ELC is conveniently located within walking distance to Westwood Village, close to Beverly Hills and Hollywood, and just four miles from the beaches of Santa Monica and Venice. When studying in Los Angeles you'll find yourself perfectly situated to study and have fun too. 30-lesson per week course includes language skill areas including grammar, vocabulary, conversation, pronunciation, speaking, listening comprehension, and reading and writing or an elective (intermediate level and above) two afternoons a week. 24-lesson per week course combines many of the major language skills including, grammar, vocabulary, and reading and writing or an elective (intermediate level and above) two afternoons a week. 20-lesson per week course includes language skill areas including grammar, vocabulary, conversation, pronunciation, speaking, and listening comprehension. 20-lesson per week course that can be customized to suit specific needs in terms of course length, level, and content, and which can include English for specific purposes. 10-lesson per week course for one block per day of grammar, communications skills or reading and writing. Part-time students are not eligible to receive an I-20 or ELC housing assistance. Our English Plus Programs are two-week programs that combine our Semi-Intensive English Course with specialized afternoon afternoon activities organized by ELC. Students in these programs will join General English Courses in the morning, and then enjoy ELC organized activities in the afternoon. In Los Angeles, students can select from among Yoga, Photography, Hollywood, Tennis, or Surfing. Prepare for success in your test of English language proficiency with an English Language Center (ELC) test preparation course. ELC’s FCE, CAE, IELTS, and TOEFL test preparation courses include English language instruction and test-taking strategies. With the help of ELC you can use these English test strategies to achieve a high score on your test. Offered year-round to high intermediate level and advanced level students, IELTS Preparation is an intensive, 30-lesson per week course that prepares students to achieve a high score on the IELTS Test. Number of lessons (per week): 20 General English lessons plus 10 IELTS lessons. Start dates: Every Monday, minimum of four weeks. Test: ELC Los Angeles and ELC Boston are official IELTS Test Centers. Students can register for the Institutional IELTS Test when they register for the their course or when they arrive ELC. Offered throughout the year to high intermediate level and advanced level students, FCE and CAE Preparation are closed-group 30-lesson per week courses. Test: All ELC Centers are open authorized test administration sites for all of the Cambridge exams including FCE, CAE and CPE. Offered year-round to high intermediate level and advanced level students, TOEFL Preparation is a 30-lesson per week course that prepares students to achieve a high score on the iBT TOEFL Test or Institutional TOEFL test. Test: Students can register for the Institutional TOEFL Test when they register for the their course. ELC can help students register for the iBT TOEFL Test at a nearby testing center. The Academic Year Program is offered to students who study for 24, 36, or 48 weeks. The Academic Year Program is offered year-round and students can begin their program any Monday. Students in the Academic Year Program may select either the Intensive Course with 30 lessons per week or Semi-Intensive Plus Course with 24 lessons per week and may include a TOEFL, IELTS, or Cambridge Preparation Course in their program. Students looking for supplemental lessons can add optional one-on-one English classes. The Academic Semester Program is offered to students who study for 12, 16, or 20 weeks. They can begin their Academic Semester Program any Monday. Students in the Academic Semester Program may select either the Intensive Course with 30 lessons per week or Semi-Intensive Plus Course with 24 lessons per week, and may include a TOEFL, IELTS, or Cambridge Preparation Course in their program. Students looking for supplemental lessons can add optional one-on-one English classes. Whether you are the CEO, a manager, or other business professional looking to advance your career, you can choose to take a Business English course at ELC. Our Business English courses have been designed for all business professionals seeking a specialized English education with professional and experienced teachers. Study English and gain admission to an undergraduate degree or graduate degree program at an American university with the English Language Center (ELC) University Pathways Program. Our Program is offered throughout the year and combines General English courses and/or test preparation courses with personalized college counseling and specialized academic services. International students in the Pathways Program select an Intensive English Course with 30 lessons per week or a Semi-Intensive Plus Course with 24 lessons per week, and may include Cambridge Exam Preparation, IELTS, or TOEFL courses as part of their studies. Students can receive a conditional letter of acceptance (to participating universities) prior to arrival at ELC and/or a TOEFL waiver once they have achieved the required level of English. In addition, students who wish to study at one or more ELC school can split their time between ELC Los Angeles, ELC Boston, and/or ELC Santa Barbara. Level requirements: To enter a university, students will need to acquire an advanced level of English while studying at ELC. Course options: Any combination of Semi-Intensive Plus, Intensive, Cambridge Preparation, IELTS Preparation or TOEFL Preparation courses. Start dates: Start date depends on desired duration of study and university semester start date. Contact ELC for initial consultation with an academic advisor, minimum length of program is determined by your English level when you begin your studies at ELC. Live on campus at the University of California Los Angeles (UCLA) and study English with English Language Center (ELC) at our UCLA Adult Summer Campus Program. Our program is offered during the summer months of July and August and allows students to combine living UCLA in dormitory accommodation with one of our General English or Test Preparation Courses. Students attend morning ELC English classes Monday through Friday on campus in UCLA classrooms. This is the perfect way to improve your English skills and have an authentic UCLA experience. Students enrolled in the Semi-Intensive Course take their classes on campus. 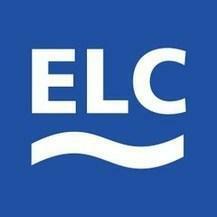 Students wishing to also study in the afternoon may take their classes at the ELC Los Angeles center. Afternoon group activities are also available at the ELC Los Angeles school. Study English in the summer and have fun with other international students at an English Language Center (ELC) Summer Campus Junior Program at UCLA, UCSB, Wheelock College, or MIT. Offered during July and August our summer junior programs include our 20-lesson per week Semi-Intensive English Course, on-campus accommodation and daily activities. International high-school aged students from 14-17 can enroll at any of our four campuses, while younger junior students aged 11-13 can enroll at our UCSB and Wheelock College Programs only. You are sure to meet new international friends from all over the world! Junior students also have the opportunity to study at ELC Los Angeles, Boston and Santa Barbara during the month of January. The Winter Junior Programs are offered to students between the ages of 14-17. This program gives young learners the opportunity to study at ELC and live with an American host family while engaging in social and cultural activities and excursions with their peers, teachers and staff. Saturday activities with American homestay family. Local transportation and airport transfer and private transfer to and from school during weekdays.